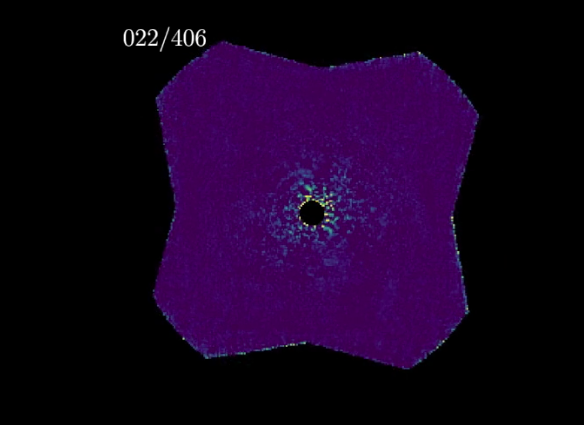 Characterizing the exoplanet HD 95086b with GPI. Following our very successful first light observing runs in late 2013, the first publication based on Gemini Planet Imager observations is now complete! It has been accepted for publication in the Proceedings of the National Academy of Sciencesas part of a special issue on exoplanets, and is now available on Astro-ph. We report in this publication the performance of the Gemini Planet Imager based on the first light tests. The first scientific result demonstrates that right from the start, GPI has been performing well enough to yield new insights into exoplanets: Our astrometric observations from November 2013 gave us important new information on the orbit of the planet Beta Pictoris b. 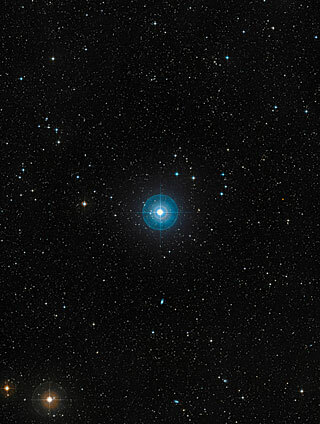 Beta Pictoris b is a young planet orbiting the bright star Beta Pictoris located 63 light-year away from us. This young star is known for its debris disk which was the first one ever imaged. 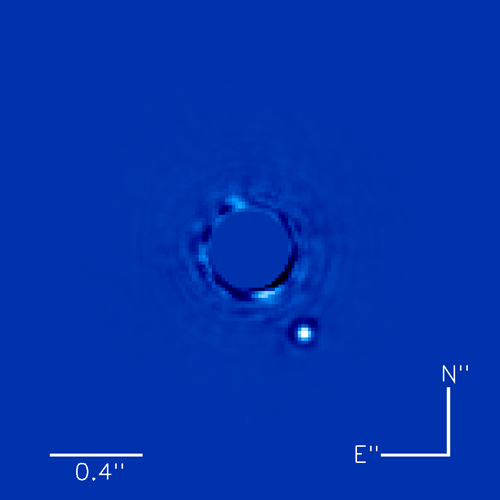 In 2010, direct imaging observations revealed the presence of a planet embedded in the disk. With a declination of -51 deg and a magnitude in visible of 3.9 ( visible with unaided eye), Beta Pictoris was the perfect target to test our “brand new” adaptive optics system on November 18. The planet was observed in H-band, at roughly ~1.65 micron (in the near-infrared) and obtained 22 individual 60-second images in coronagraphic mode. 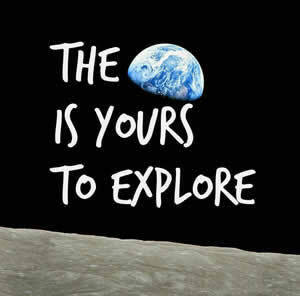 The on-site observers reported with amazement that they were able to see the planet in a single, raw, 60-s exposure frame. This illustrated the great potential of our instrument to detect exoplanets, since with previous instrument the planet was only visible after roughly 1h of observation. The figure below shows the resulting image after applying the TLOCI algorithm. The planet in orbit around Beta Pictoris is detected with a signal-to-noise ratio of ~100. The observations of GPI revealed a motion of the planet with respect to previous observations collected with previous AO systems on 6-8m class telescopes such as VLT/NACO, Gemini/NICI and the Magellan AO system. After gathering all those astrometric positions, and adding our point, we found out that the planet orbits at ~9 AU from its star with a period of ~20.5 years. The orbit is in agreement with previous orbit estimates but this additional point improved its accuracy significantly. First this work showed that the planet has recently turned around on its orbit. Secondly, it confirmed that the planet orbits in the same plane as the disk. Finally, the refined orbital parameters allowed to predict with a few percent confidence that the planet might transit its star in September through December 2017. It is possible that a similar transit of the planet across the star was observed in 1981. This work suggests that GPI, and other Extreme AO instruments with high contrast imaging, are about to open a new era in planetary system characterizations.